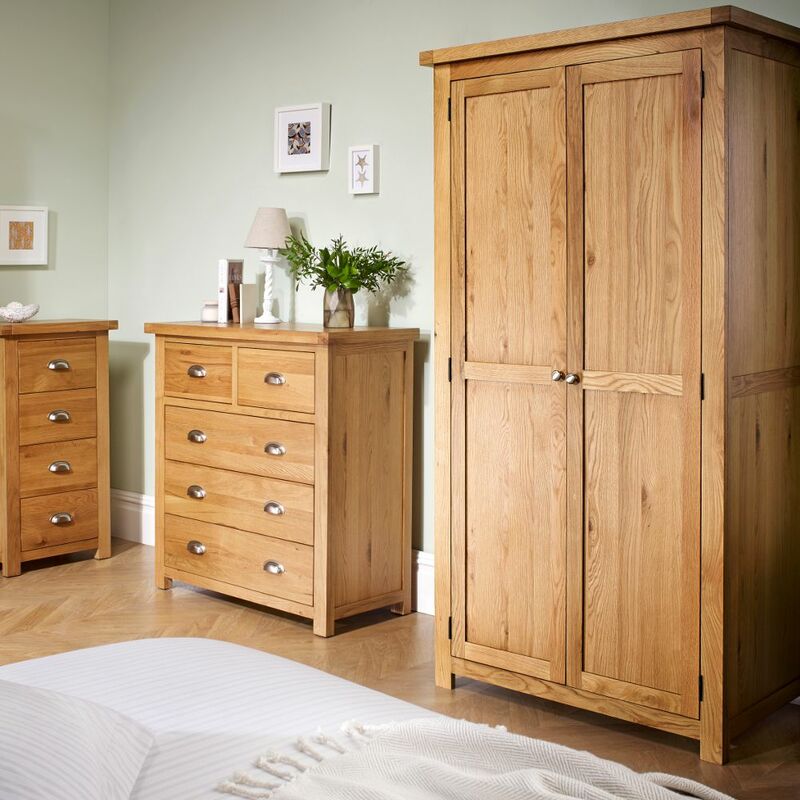 Simple in design yet superb in functionality, the Woburn 2 Door Wardrobe Oak is a charmingly rustic addition to the bedroom. 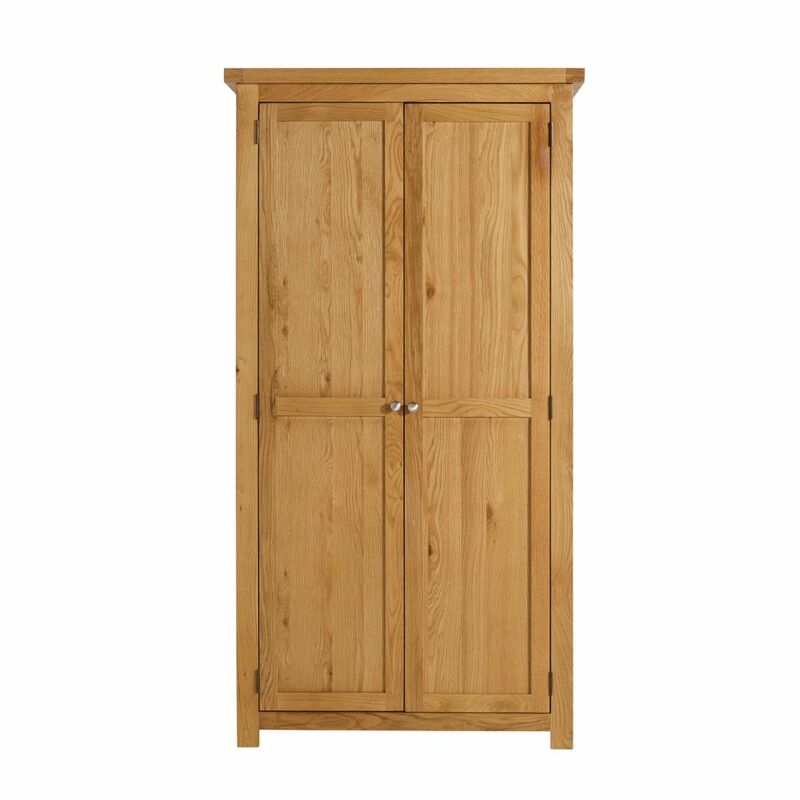 Two large doors open to reveal a gigantic amount of storage space, making the Woburn 2 Door Wardrobe Oak an ideal solution to storing apparel such as suits, coats and dresses. Though it may appear basic at a first look, the Woburn 2 Door Wardrobe Oak offers everything that"s required for clothes storage. 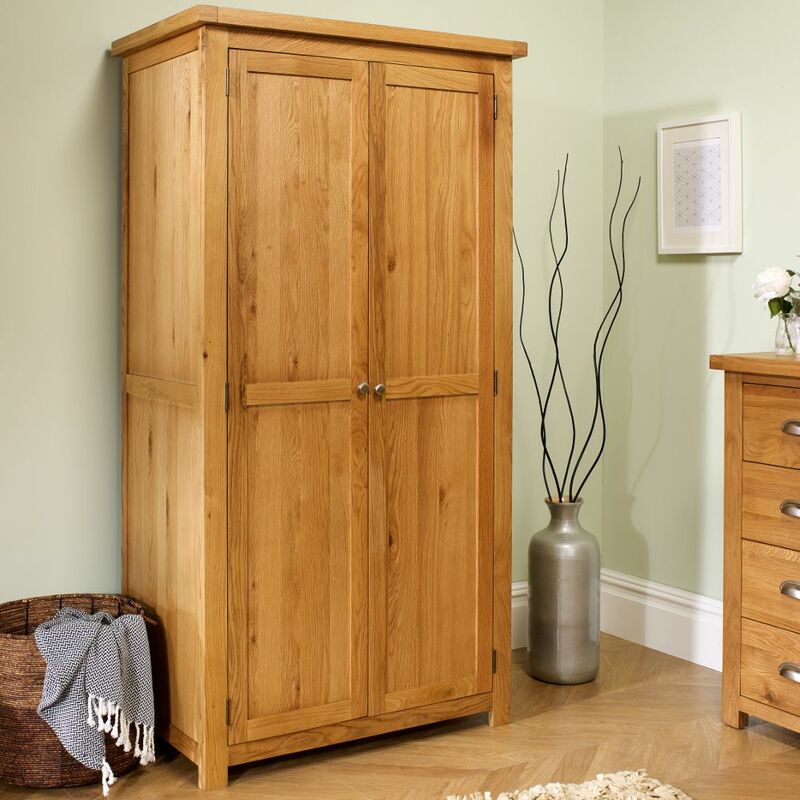 Thanks to the sturdy, single rail, the Woburn 2 Door Wardrobe Oak can accommodate a host of clothes that need hanging, while the solid, durable base is secure enough to withstand a wealth of heavy items, whether it"s a pile of thick jumpers or pairs of large boots. Not only is the physical design of the Woburn 2 Door Wardrobe Oak fairly low-key, the appearance also conforms to the mentality that less is more. The natural finish of the solid oak lends itself incredibly well to traditionally decorated rooms, though the adaptability of the piece means that it wouldn"t look out of place in modern decors. Crafted from solid oak, the Woburn 2 Door Wardrobe Oak is designed to stand the test of time, all whilst looking utterly delightful. Self-assembly is required, though thanks to the comprehensive instructions provided there should be little issue with completing the task. Any mystery to the process should be solved through reading the simple instructions, each of which are accompanied by clear images.The product is part of the The product is part of the Woburn Oak Wooden Bedroom Furniture Collection.